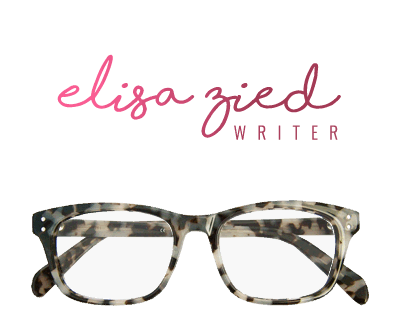 Elisa Zied is a young adult fiction writer. A proud member of the Society for Children’s Book Writers and Illustrators (SCBWI), she earned an Advanced Graduate Certificate in Children’s Literature from Stony Brook Southampton in January 2017. She’s currently pursuing a Master of Fine Arts in Writing for Children & Young Adults at Vermont College of Fine Arts. 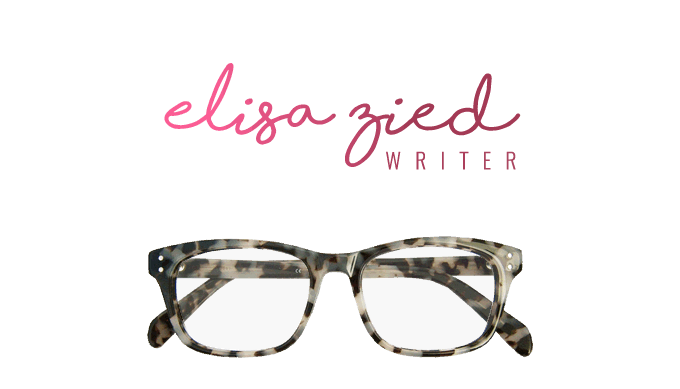 Prior to writing fiction, Elisa earned a Bachelor of Arts in psychology from the University of Pennsylvania and a Master of Science in clinical nutrition from New York University. After becoming a registered dietitian and certified personal trainer, she worked as a clinical dietitian and opened a nutrition consulting practice. For most of her 22-year nutrition career, Elisa was a freelance health and nutrition writer, author and spokesperson. 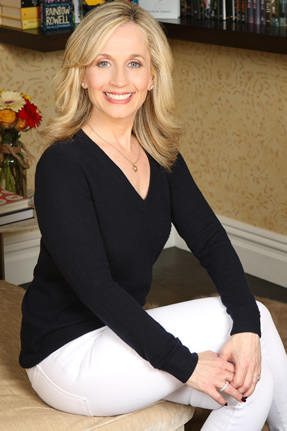 Her articles have appeared in magazines including Success, Parents, Redbook, Seventeen, Women’s Day and Weight Watchers and on websites including Today.com, Shape.com, and USNews.com. Elisa is the award-winning author of four nutrition books including Younger Next Week (Harlequin Nonfiction) and Nutrition at Your Fingertips (Alpha Books). She also served as a national media spokesperson for the Academy of Nutrition and Dietetics for six years and subsequently became a spokesperson for Got Milk? and other campaigns for several national brands. Born in Brooklyn, New York and raised in eastern Long Island, Elisa currently resides in Manhattan with her husband of 25 years and her two sons, aged 20 and 16. When she’s not writing (or reading) or scrolling through social media, she’s power walking, attending a book signing/fan-girling over a favorite author, seeing a movie, Broadway show, concert or basketball game, listening to music, or cooking for at least one of her boys. Favorite movies of all time include Titanic, The Notebook, When Harry Met Sally, Dirty Dancing, The Breakfast Club, Jerry Maguire. Favorite TV series of all time include This is Us, Frazier, Friends, Friday Night Lights, Will & Grace, Gilmore Girls, Thirtysomething, Wonder Years, My So-Called Life, One Day at a Time, 24, and Rescue Me. Books I could read over and over again include Eleanor and Park by Rainbow Rowell, I’ll Give You the Sun by Jandy Nelson, The First Time She Drowned by Kerry Kletter, Stargirl & Milkweed by Jerry Spinelli, Grasshopper Jungle by Andrew Smith, and The Interestings by Meg Wolitzer. Favorite musicals include Dear Evan Hansen, Cabaret, A Chorus Line, Hairspray, Pippin, Hamilton, Jersey Boys, and Sunday in the Park with George. When I was 8-years-old, I fell down the stairs and broke two vertebrae. I wore a life jacket-style body cast and couldn’t get out of bed for three months. My third grade teacher, Miss LaRocca, came to tutor me after school each day so I wouldn’t fall behind on my homework. I’ll never forget her and her generosity. Teachers rule! Careers I thought I wanted when I was a child: professional figure skater, school teacher, medical examiner, actress, pediatrician, and psychologist. After being bullied by a girl in 7th grade and having most (but not all) of my friends turn on me, I switched from public school to a very small private school. I ended up finding a great friend group and even fell in puppy love. Even though he and I broke up two years later, I have beautiful memories of him and our time together (some of which has inspired my stories). My first job was at an ice cream shop. I was paid $3.25 an hour and gained seven pounds from their peanut butter vanilla ice cream. In 2014, my mother had a significant brain bleed that landed her in the ICU and in rehab for 5 weeks*. That led me to take a step back and reassess my nutrition career which no longer gave me the joy and stimulation it once did. After my fourth book, Younger Next Week, was published, I was invited to speak among about 100 other authors for two minutes at a Jewish Books Council event. As I listened to the other authors discussing their work (mostly fiction), I realized there was an entire world outside of nutrition that I didn’t know existed, that wasn’t a part of. After that event, I began to read more often for pleasure. And then I saw the movie The Fault in Our Stars based on the popular John Green book. As the credits rolled I pointed to the screen and told my husband “That’s what I want to do.” And I’ve been reading voraciously and writing fiction ever since with five writing classes, several book festivals and writing conferences, four retreats and one children’s lit fellowship under my belt. And I couldn’t be happier! *My mother was a great patient and recovered beautifully from her health challenges (knock wood). And in the summer of 2017 she put on her very own Off Broadway musical, Ben Virginia & Me (book by Pippin’s very own Roger O. Hirson — he’s 92 and happens to be a super close friend of mine! ), at New York Musical Festival. It even won three awards!